The new ITALCO H-4000 is setting the standards. 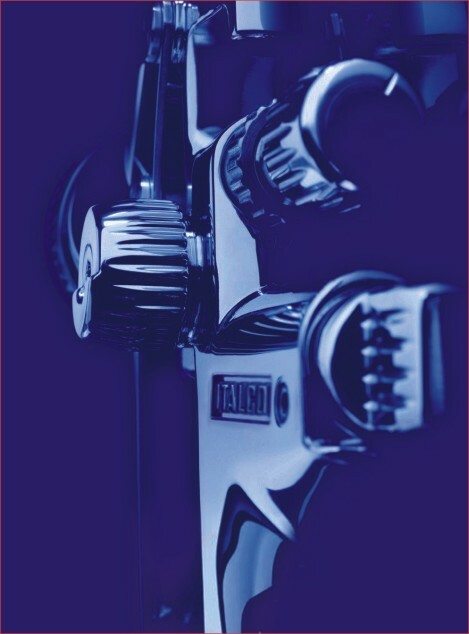 Featuring state-of-the-art technology, the spray gun has been optimised with the passion for precision so typical of ITALCO as well as undergoing intensive practical tests. The result: a soft spray pattern which is second to none, perfect ergonomics and outstanding atomisation for excellent finishes. 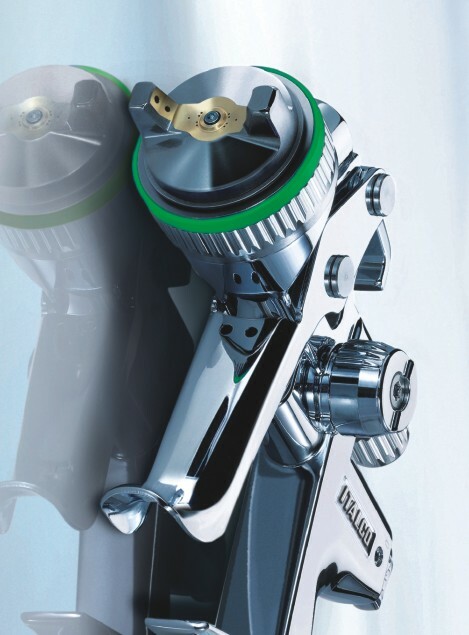 ITALCO H- 4000 , due to its ergonomically formed gun handle, fits like a glove. We have reduced its weight by 15% compared to the previous model. 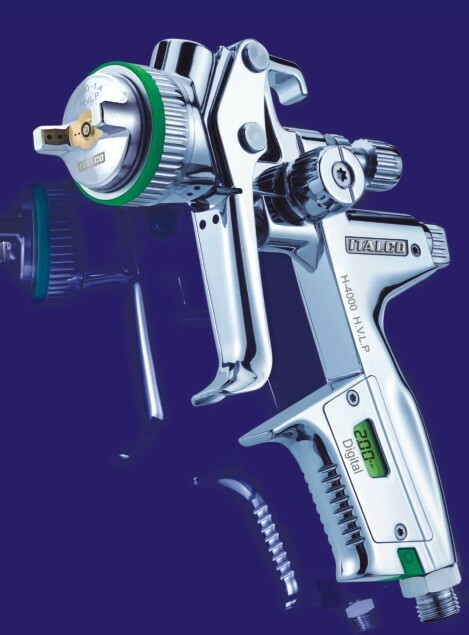 In addition, we have lowered the centre of gravity of the spray gun by a great deal for the benefit of the painter. 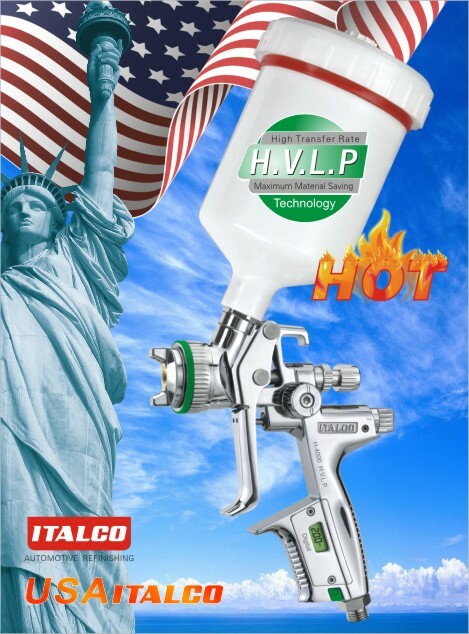 The new nozzle concept of the ITALCO H-4000 has been enhanced to meet the requirements of modern paint systems. Providing a uniform and perfectly shaped spray fan, the material lays down softly and evenly. The noise level has been reduced by up to 50%. 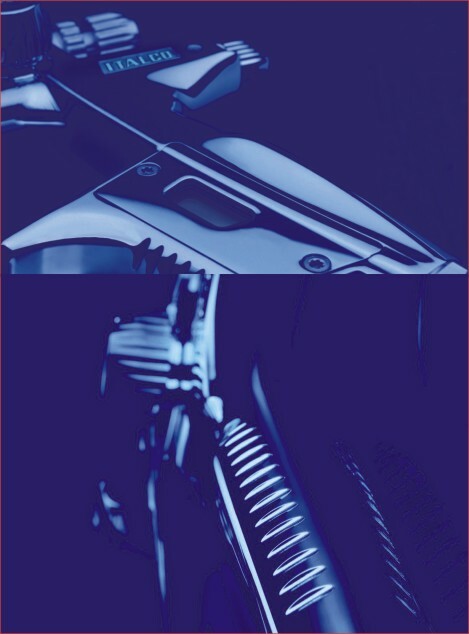 Highest color match precision, high gloss and uniform paint distribution ensure brilliant finishes at rapid application speed.